In the philosophy of religion ‘Wittgensteinianism’ is a distinctive position whose outlines are more or less unanimously agreed by both its defenders and detractors. By invoking a variety of concepts to which Wittgenstein gave currency – language games, forms of life, groundless believing, depth grammar, world pictures – the defenders aim to defuse rationalistic criticisms of religion by showing them to be, in the strict sense, impertinent. In the light of these very same concepts, however, the detractors claim that ‘religion’ is being isolated from intellectual inquiry and rendered immune to critical scrutiny. The dispute began in 1962 at a conference in Princeton Theological Seminary when John Hick raised objections to a line of thought about religious belief that Norman Malcolm, inspired by Wittgenstein, seemed to be adopting. The most prominent ‘cold warriors’ of this particular debate were Kai Nielsen and the late D Z Phillips, who, astonishingly, kept it going for nearly forty years. A great many other philosophers participated, mostly on one side or other of the battle line, though occasionally in the role of mediators seeking to find middle ground. Like so many philosophical disputes, this one was never really resolved, and for the most part has burnt itself out. In careful retrospect, however, what is striking is just what a very tenuous connection it all had with Wittgenstein’s philosophical writings. It is widely acknowledged that the Philosophical Investigations have nothing to say about religion, On Certainty almost nothing, and the Tractatus just a few propositions towards the end that touch on ethics, mysticism and life after death. Quite a lot has been made of the remarks about religion, and Christianity in particular, that can be found in Culture and Value. But these were collected and published by Von Wright, not Wittgenstein. Maurice O’Connor Drury’s ‘recollections’ of conversations about religion with Wittgenstein are another source to which philosophers of religion have turned. Yet Drury tells us that these conversations followed Wittgenstein’s explicit refusal to ‘talk philosophy’. In addition to these observations, it is salutary to note that the ‘key’ concepts of language games, forms of life, groundless belief, and so on, occur relatively rarely in the philosophical works. ‘Language games’ for instance, appears in only 50 of the 673 paragraphs that constitute Part One of the Investigations, while ‘form of life’ is used just five times in the entire work. 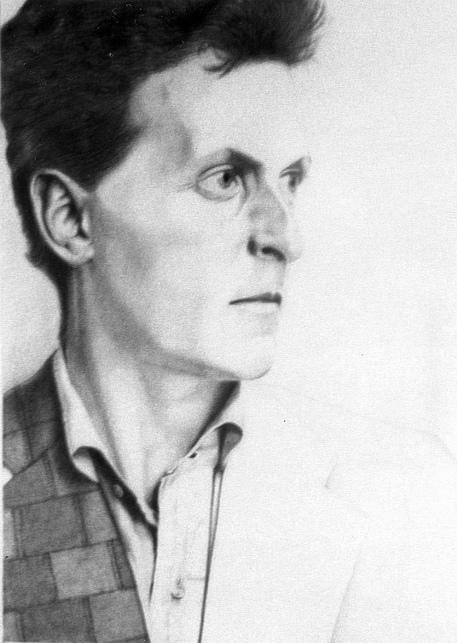 Drawing of Ludwig Wittgenstein by Christiaan Tonnis. CC BY-SA 2.0 via Wikimedia Commons. In short, the superstructure of ‘Wittgensteinianism’ in philosophy of religion rests upon a very small foundation indeed. Should we conclude from this that Wittgenstein’s philosophy has no light to shed on religion? This is a plausible conclusion to reach, but there is reason to think that it would be a little hasty. Wittgenstein was undoubtedly interested in religion. He evidently read William James’s Gifford Lectures on The Varieties of Religious Experience with close attention. He was suitably incensed by the misguided conception of religion that he found at work in J G Frazer’s Golden Bough. And the remarks he recorded that found their way into Culture and Value show a similar concern with a certain sort of error. Eighteenth century philosophers, including Hume and Kant, would have identified the kind of error in question as a failure to distinguish between ‘true’ and ‘false’ religion, the sort of error that people make when they mistake lust for love, or flattery for praise. Hume thinks that ‘true religion’ is neither superstition nor dogmatism, though religious believers are no less likely to make this misidentification as the critics of religion (of which he was one). True religion for Kant (as for Spinoza) is to be sharply distinguished from all the ecclesiastical trappings by which it is so often surrounded. William James is equally anxious to discount the theological and philosophical constructs that pass for religion – ‘an absolutely worthless invention of the scholarly mind’ he calls them. It is this anxiety with which Wittgenstein is profoundly sympathetic, and his sympathy shows itself in many of the passing remarks that have so impressed some philosophers. But what does it have to do with his philosophy properly so called? The answer, I think, is this. We can abandon the whole conceptual panoply of language games, forms of life, depth grammar and the like. It is Wittgenstein’s method of philosophical investigation that promises to throw new, and critical, light on the nature and value of religion as a human phenomenon. 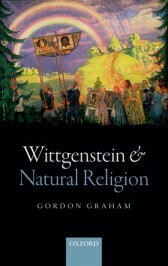 There is a lot to be learned if we reorient the subject away from philosophical theology, towards the philosophy of ‘true religion’, and employ Wittgenstein’s philosophical method to explore once more some of the themes that, in some of their works, occupied Spinoza, Hume, Smith, Kant, Schleiermacher and Mill. Featured image credit: Farm Garden with Crucifix by Gustav Klimt (1912). Public domain via WikiArt. Gordon Graham FRSE is Henry Luce III Professor of Philosophy and the Arts at Princeton Theological Seminary. His areas of academic interest include aesthetics, moral philosophy, philosophy of religion, and the Scottish philosophical tradition. He is Director of the Center for the Study of Scottish Philosophy at Princeton and founding editor of the Journal of Scottish Philosophy. His books with OUP include Scottish Philosophy in the nineteenth and Twentieth Centuries and Wittgenstein and Natural Religion. You can also read Gordon's blog post on nineteenth and twentieth century Scottish philosophy. Since you’re claiming that “language-game” is a key term that appears “relatively” rarely, are there other philosophical terms/concepts that appear more often than “language-game”? Of course, this is a very strange way of assessing the significance of a concept in a philosopher’s thought. The phrase “good will” appears only 19 times in my translation of Kant’s Groundwork… am I to conclude that it is a relatively insignificant concept in Kant’s ethics?